During a visit to the cape on Friday, February 17, 2017, the Cops For Kids With Cancer crew went to the State Police Barracks in Bourne. 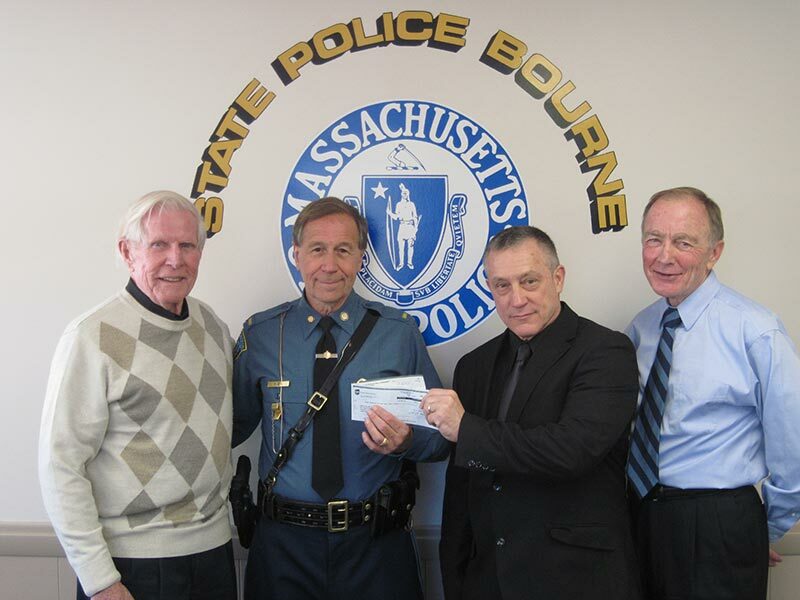 Here the State Police presented CFKWC with a donation of $6,000. In photo left to right: CFKWC Chairman Emeritus Bob Faherty, Lieutenant James Plate, Sergeant John Kotfila, and CFKWC Chairman Bill Coulter. We sincerely appreciate your generous support!